Having a day off of work is a dangerous thing (okay, make that 2.5 days… I may or may not have taken extra time off for the South Carolina game last Thursday.) It gives me more time to think about restaurants and more time to eat at them. So needless to say, I spent most of my Labor Day weekend eating my way through CLT! Instead of posting 100 different blogs, here’s a little peek at last weekend’s lineup. 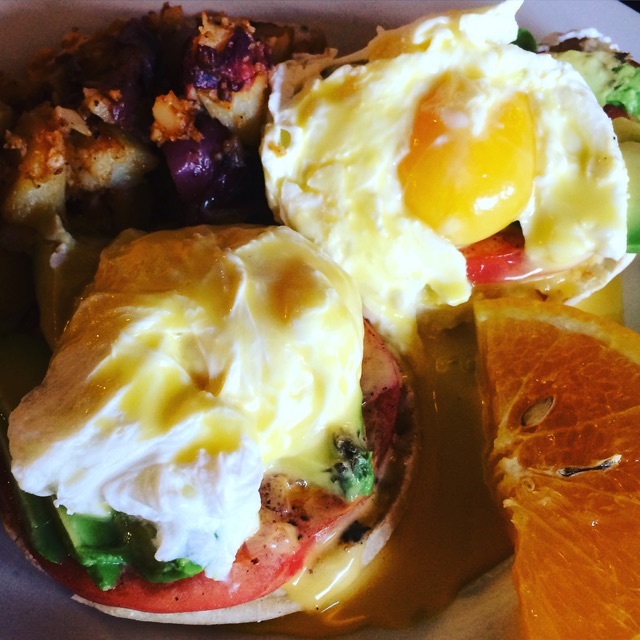 I had the Cali Benny – poached eggs, avocado, tomato, and hollandaise over an English muffin, with a side of hash browns. So good! I wasn’t sure if I was a fan of hollandaise sauce, but I’m kind of diggin’ it. I’ve heard Toast gets packed on the weekends, so I’m glad we were able to go on a work day. Next… FOOD TRUCK FRIDAY (the greatest thing ever). FTF is like heaven on Earth. What’s not to love about 10+ food trucks in one location?? This time around I had the Traditional bowl from New Wrap Order with a side of wonton chips. AKA AMAZING. The bowl included chicken, basil avocado cream (!! ), pico de gallo, queso fresco, lettuce, black beans, and cilantro rice. Yum, yum, yum. 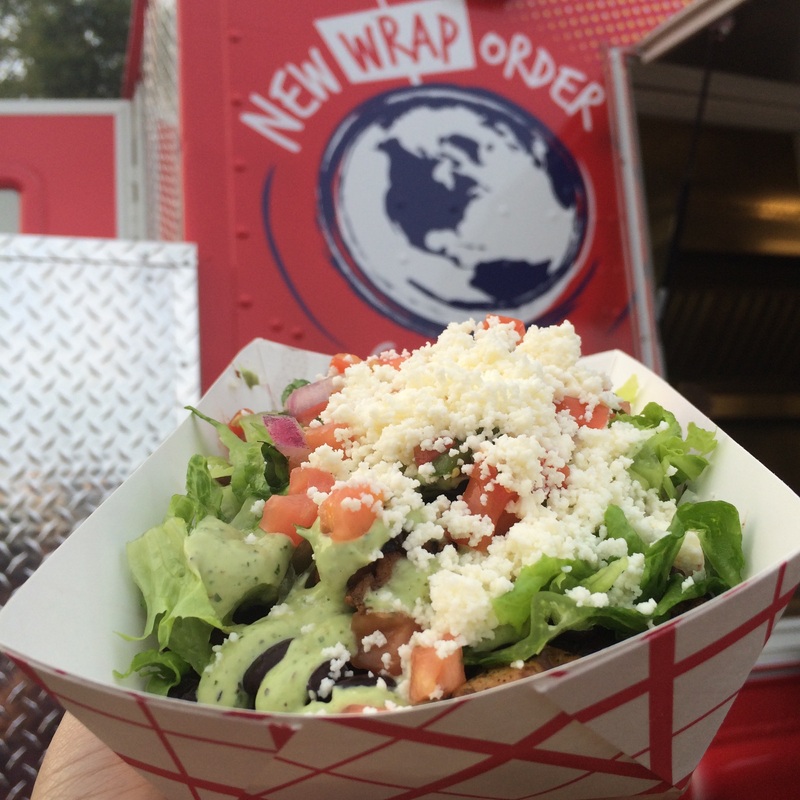 New Wrap Order is cool because you can have everything stuffed into a wrap or just in a bowl. Plus, they have wonton nachos (Wonchos), so yeah. On Saturday morning, I took my first trip to Owen’s Bagel & Deli. WOW. Needless to say that bagel was TASTY. 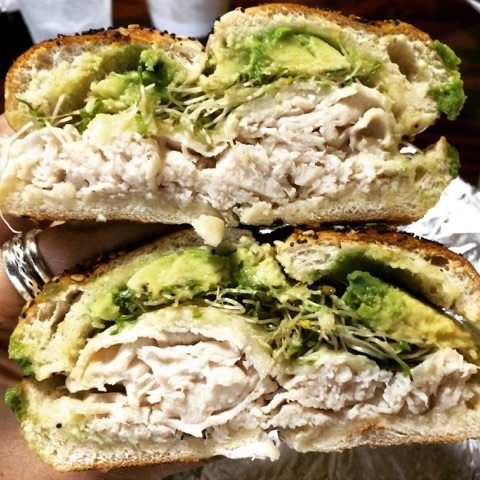 I had Mandy’s Mayhem – turkey, Swiss, avocado, and sprouts on an everything bagel. Their menu says “List of things you should eat” and they are literally not kidding. Owen’s was closed for several months because a car crashed into their building… but they’re back and now one of my new fave bagel spots! Saturday night got a little fancy at Fahrenheit! We just had drinks and appetizers, but everything was delish. 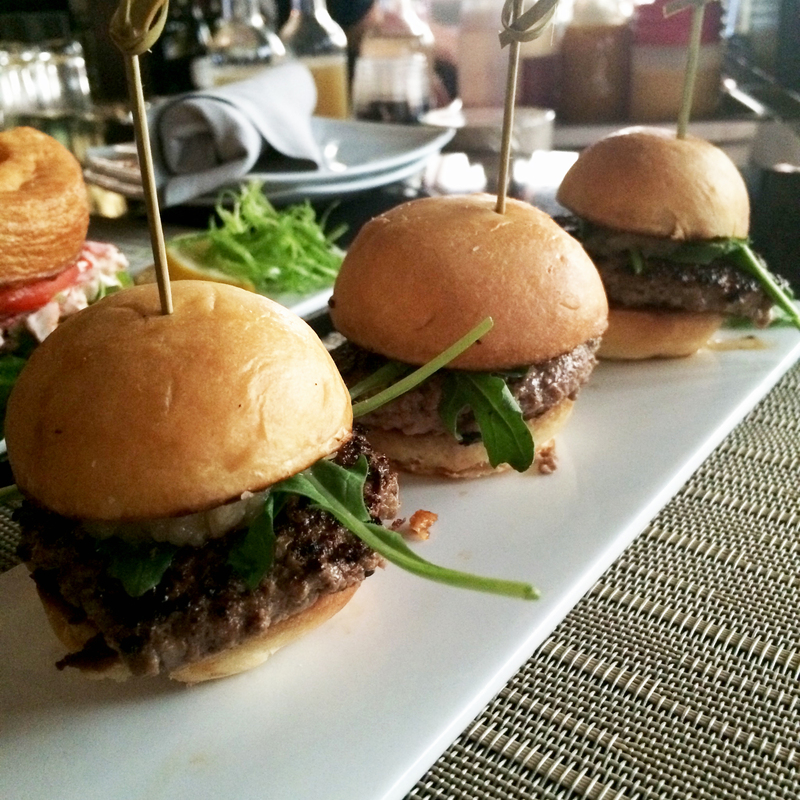 Try the Mango Mule to drink and the Seared Lamb Sliders or Butter Poached Maine Lobster Rolls to eat. SO much flavor – especially the lamb. Mmm. Plus, you can’t beat that beautiful skyline view of the Queen City. Everyone must check it out at least once. And finally – the Common Market in South End. Another first visit! Lots of talk is happening about the redevelopment of this area, so we can only hope that this gem is preserved. 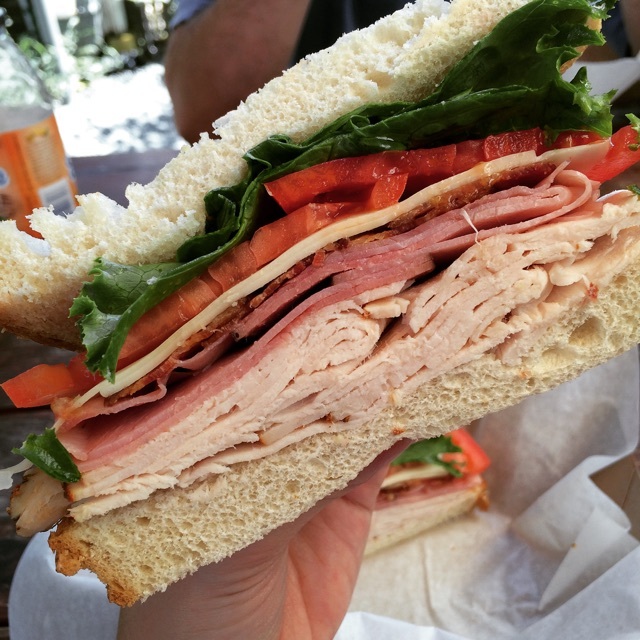 I looove a good sandwich, and this Billy Club hit the spot. Turkey, ham, bacon, Swiss cheese, lettuce, and tomato on sourdough. Simple and perfect. Hoping to make several trips back to this place. Basically what I learned this weekend is that EVERY weekend should be 3 (or 4.5) days long so that there is ample time to eat. A lot. Next Post Is it weird to be obsessed with salads?